Travel Destinations Limited is an official agency for the Le Mans 24 Hours race organisers the Automobile Club de L’Ouest (ACO). 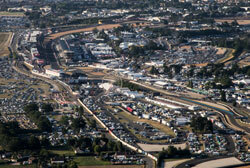 This enables us to offer the best variety of tickets, camping & grandstand seats for the Le Mans 24 Hours. News Update: You can make your Le Mans 2019 bookings with us now. The confirmed dates for the race are the 15th & 16th June 2019. Prices are available on this website and you can book and reserve your place with a deposit today. Please call us now to reserve all your tickets for Le Mans 2019. To book all your travel and tickets for any of the offers on this website please call 01707 329988 from the UK or +44 1707 329988 from outside the UK. Unlike many other operators, Travel Destinations are fully bonded members of ABTA, AITO & hold an ATOL license. You can book with Travel Destinations knowing you are booking with experts and that your money is protected from the day you make your Le Mans reservation. Travel Destinations has been the leader at Le Mans for more than 20 years. We have been looking after Le Mans spectators since 1996 and now look after many thousands of people at the circuit each year. As a UK company many of our guests are British, but we also have many people join us at Le Mans from all of Europe, USA, Canada, South Africa, Australia, New Zealand, Japan and China. We look after customers from all over the world. 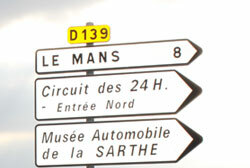 All the Travel Destinations staff have been to Le Mans more than once. Because of that we are able to talk to you from our own individual experience. This helps us advise you about the best options for you at the circuit. Follow this link to view a video of the Le Mans Experience with Travel Destinations via our You Tube video page. Booking your Le Mans package with us couldn’t be easier. 1. 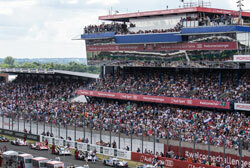 Select the Le Mans travel package most appropriate for you from the price list. 2. Calculate your price from the appropriate grid, by selecting your channel crossing and the duration of stay you require. 3. Phone our experienced staff on 01707 329988 who will complete your booking for you and confirm your options. 4. Once you have paid your deposit (£100 per person) or the balance, we will confirm your booking and your individual Le Mans booking number in writing by post or email. 5. Your Le Mans ticket pack and information with all that you require will be sent by recorded delivery about 2 – 3 weeks prior to your scheduled departure. Get an even better view at Le Mans 2019. A reserved seat for the whole 24 Hours.